Ghana's second solar power plant has just been built. Located in Gomoa Onyaadze, in the centre of the country, it has a production capacity of 20 MW. It is part of the "One District, One Factory" programme, which aims to create favourable conditions for foreign investment. Ghanaian President Nana Akufo-Addo inaugurated the country’s second solar park on Sunday, September 16, 2018, during a four-day visit to the central region. The solar power plant in the Gomoa Onyaadze District consists of 40,480 polycrystalline silicon panels, 64,400 solar panels, 400 smart inverters and 15,000 DC cables. The 20-megawatt production, estimated at 20 megawatts, will strengthen the national electricity grid, supplying the substation of the Ghanaian Electricity Company (ECG) in Winneba, a city of nearly 50,000 inhabitants, located 60 km from the capital Accra. While Ghana’s first solar power plant (20 MW) was built by a Chinese company Beijing Xiaocheng Tech, the second, Gomoa Onyaadze’s, was financed and built for $30 million by Meinergy Ghana, a local company specialising in electrical installation. It is also the Chinese private company, which will be responsible for managing the plant. The commissioning should help to reduce the price of a kilowatt, which is considered relatively expensive. “When we took office, we inherited many power generation contracts with independent power producers. Contracted at the height of the energy crisis, these agreements gave us energy at 18 cents per kilowatt-hour against a world average of 10 cents per kilowatt-hour,” the Ghanaian president deplored in his opening speech. At the launch of the International Solar Alliance (ISA) in Paris on 30 November 2015, the Ghanaian head of state expressed his country’s desire to set aside 10% of its energy mix for solar energy production. “Ghana is located close to Ecuador and several parts of the country enjoy excellent sunshine. 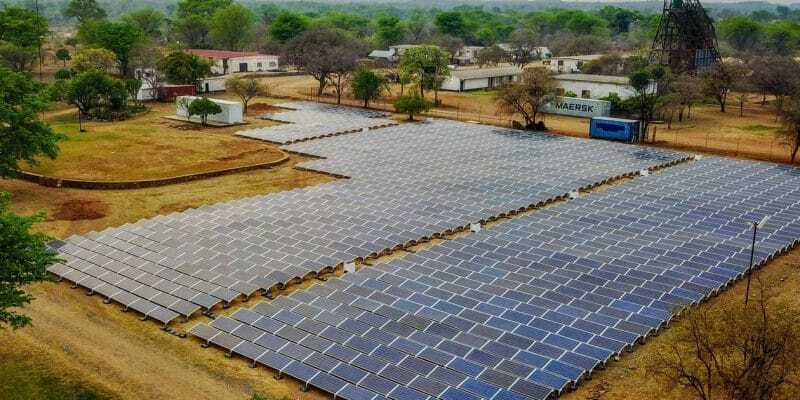 It is unfortunate to note that despite the abundance of its solar resources, the country depends on an energy mix composed of only 1% solar, compared to 59% fossil and 40% hydroelectric,” the president said with regret, before announcing an ambitious solar project. The aim is to install 200,000 solar electric facilities that will serve households, businesses and public infrastructure. These electrical units will be located in both urban areas and non-electrified communities. In addition, Ghana is expected to soon have one of Africa’s largest solar farms. The start-up is scheduled for March 2019 and, according to Salma Okonkwo, CEO of the Ghanaian group UBI (Petroleum Company in Ghana and West Africa), which is implementing this project called “Blue Power Energy”, the solar power plant will produce 100 MW of energy to support the country’s industrialisation and development.